Oklahoma lawmakers return to the state Capitol Monday, facing a $300 million budget hole, calls for prison reform and a renewed push to reduce the number of tax incentives offered by the state. The session will open at noon, when both Houses of the Legislature meet jointly to hear Republican Gov. Mary Fallin’s state of the state address. Under the Oklahoma Constitution, lawmakers will have 90 days to complete their work. While the state’s budget will take the most time, other proposals – including bills that prevent gay married couples from accessing public services and proposals to allow guns to be openly carried throughout the state – await the legislature. The governor said she would push incentives to improve Oklahomans’ health, graduate more students from high school and reduce the state’s incarceration level. Fallin also warned state agency directors to prepare for budget cuts. She said the state has about $900 million in agency revolving funds that could be used for the budget. 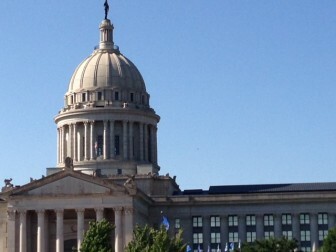 Oklahoma Senate president pro tempore Brian Bingman, R-Sapulpa, predicted said the low price of crude oil would be a challenge for the legislature. House Democratic Scott Inman, D-Del City, said his caucus would focus on the middle class. “As the economy improves in Oklahoma, a lot of the folks in the middle class are getting squeeze, they are not seeing the benefits of that economic growth,” he said. Read a copy of Gov. Mary Fallin’s written 2015 State of the State speech.